Lead generation is a necessity for for any business looking to create optimized landing pages and gain more revenue. 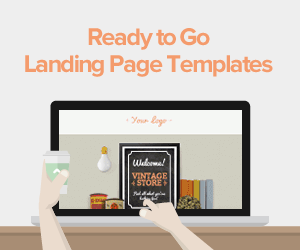 Successful lead generation tactics can help landing page designers create a website that works specifically for each business. After all, a financial services ecommerce landing page cannot use the same Web page design as a clothing retailer! Lead generation is much different in the modern age than it was years ago. These days, cold-calling just doesn't cut it. 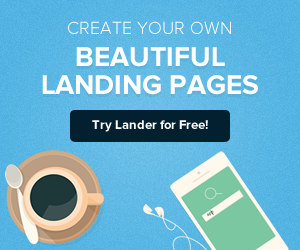 So how can product landing page generate leads in a simple, yet effective manner? 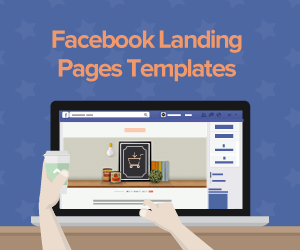 Use these five innovative generation strategies to help your landing page turn leads into conversions. According to Petovera, offering a free trial of a product or service can prove to be one of the smartest tactics a B2B or ecommerce brand can use on their website. Why is this? Customers typically want to try a product before they buy it. By giving them the chance to do so, you can obtain their email address as well as valuable consumer and audience information such as occupation, location, gender, name and average buying rate. Create call-to-action buttons or pop-ups that ask consumers to try the product for free. You can also invite them to engage with the product by placing small form sheets on the side of a website for free consultations. As stated above, CTA buttons and forms can help ecommerce businesses gain valuable leads. However, consumers will often bounce from a page if it asks too many questions of them or personal information that they are uncomfortable sharing. Inc Magazine recommends keeping all registration forms short because in the end, the only information you need at first is their contact adresses. All other information such as demographics and gender can be obtained later. As with both methods, beta-test each one to see if longer forms or shorter forms work best for your business. One amazing way to keep customers coming back for more and obtain valuable information is to create customer-focused quality content, according to Digital Marketing Philippines. This content can range from video to customer testimonials to social media posts. After viewing each post, encourage leads to sign up for your newsletter to easily quantify data. In video content, include links to your landing page and Web product. These methods will help turn leads into conversions and help generate valuable consumer insights. If your business is product-based, offer services such as free shipping or coupons in exchange for signing up for the newsletter. 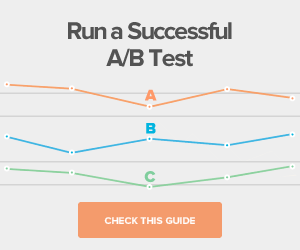 This will help turn leads into valuable conversions. For example, say that your business specializes in high-quality skincare products. Offer the consumer 20 percent off their next purchase by signing up for the newsletter. Not only will your business gain valuable demographic information, but you will have email addresses and purchase history to track as well. Other options of exclusive deals include a free service upon recommendation to a friend and birthday discounts. If your ecommerce website is more professionally based or is a B2B operation, consider attending a conference to generate leads manually. If your business is more casual and B2C based, consider trade shows and sidewalk sales with other partnered brands. Speaking at conferences and trade shows gives your brand visibility and puts the product name to a face. Once consumers see the personality behind a brand, they are more inclined to reach out to it via a landing page.